Recently, I glommed the entire first season of Jane the Virgin, and I am totally hooked! I love Jane, I love the narrator, I love her father, I love everything about this show, but I especially love the triangle with Jane, Rafael and Michael. I actually really like Jane and Michael together, but I have ridiculous levels of love for Jane and Rafael (or Jafael). Why, I hear you ask? Well, his dreaminess quotient is just crazy. And they had the most romantic kiss of all time. Okay, maybe not all time, but it had to come close. And he says all the right things. Oh, and they have a baby, which complicates things, but is so sweet. Come on, just look how cute they are together. Did I mention that kiss…? Yeah, I’m definitely shipping Jafael. 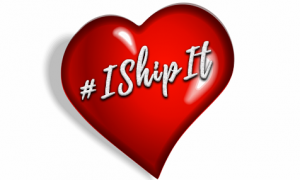 We think you’ll be shipping Scarlett & Finn! 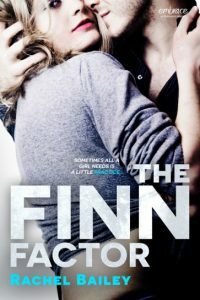 Now’s your chance to grab The Finn Factor by Rachel Bailey for only 99¢! Rachel Bailey is a lover of books, chocolate, dogs, and ice cream. Luckily, she has three dogs, an ice cream maker, a steady supply of chocolate, and bookshelves overflowing with books, so she’s covered on all fronts. Despite spending her life trying to scam more time to read, she’s managed to graduate with degrees in psychology and social work, and now has her dream job – making up stories for a living. 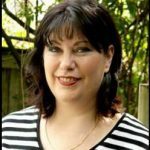 Her books have hit the USA Today bestseller list, are published in over twenty-six countries and have been translated into sixteen languages. She lives on a piece of paradise (ten acres of native trees on the side of a hill, within driving distance to the beach) on Australia’s east coast with her own personal hero. She loves to sit with a dog or two, overlooking the trees and read books from her ever-growing to-be-read pile.